The republican faithful in Missouri: "If you wish really hard…"
Putting Missouri in the W column for Dems is silly. I live in the state. Carnahan is out-polling any Republican right now on pure name recognition. I can tell you this. Dissatisfaction with Obama’s policies are growing in Missouri with every passing week. By next fall, any politician running for statewide office who’s associated with Obama and his radical economic policies is going to feel the wrath of Missouri voters. Conservative grassroots are up for a knock-down, drag out fight in 2010. Also keep in mind Obama lost Missouri in 2008. Does anyone really think his popularity is going to increase from his blank slate, MSM lovefest, POTUS run in 2008? Uh, yes the republicans will have all the money they need. And the lobbyists, too. True, Obama didn’t win the state, but then again, John McCain barely did and it took a while to figure that out. 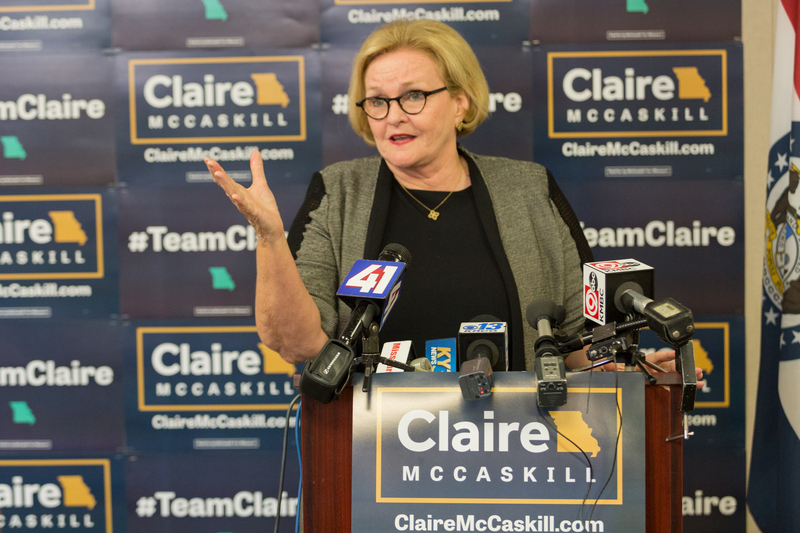 The closest state during the 2008 presidential election, Missouri shows early signs of opportunity for Democrats to pick up the senate seat currently held by Republican Kit Bond. A new Democracy Corps survey by Greenberg Quinlan Rosner Research shows Secretary of State Robin Carnahan leading Republican Congressman Roy Blunt 53 to 44 percent and leading former Treasurer Sarah Steelman 54 to 42 percent. At this early and uncertain stage, Carnahan starts off the contest with a strong personal and professional standing that puts her in a position to defeat either potential opponent. At the same time, it appears as if Steelman may be the tougher foe with a stronger profile than Blunt and the potential to run a fresh outsider candidacy that Blunt cannot offer. President Obama provides a slight boost to Carnahan, even in a state he failed to carry, with a 56 percent job approval rating (compared to 58 percent nationally) and voters preferring, by a 49 to 40 percent margin, a senator who will mostly support Obama’s agenda to get things done rather than one who will mostly oppose his agenda to provide balance. This report is based a Democracy Corps survey of 800 likely voters in Missouri conducted April 28 – 30, 2009. The survey is subject to a margin of error of +/- 3.5 percentage points. Okay. What color is the sky in their world? Ah yes, if republican wishes were reality there would be a bronze statue of George W. Bush on every street corner in Iraq.